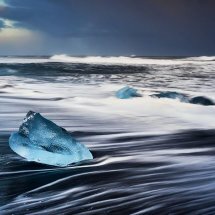 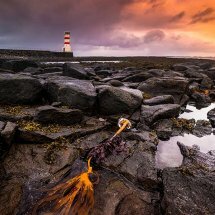 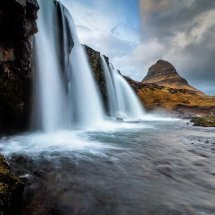 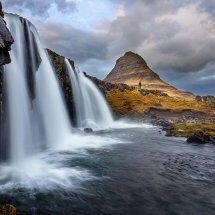 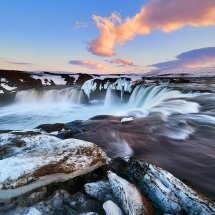 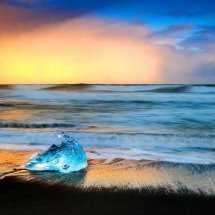 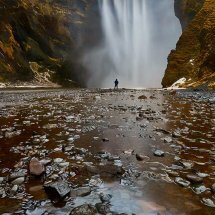 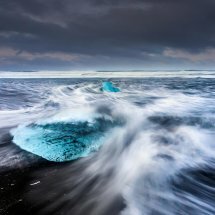 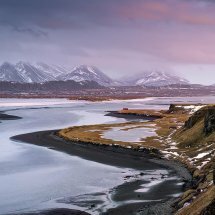 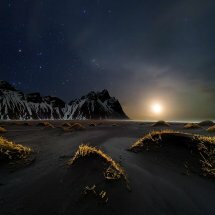 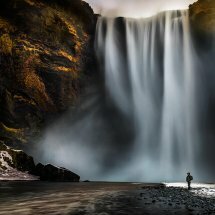 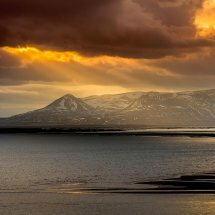 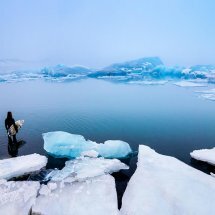 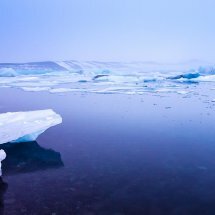 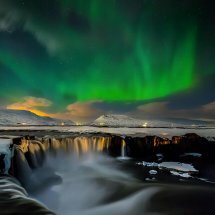 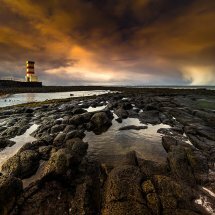 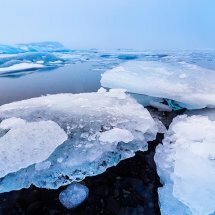 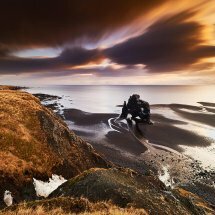 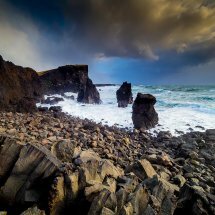 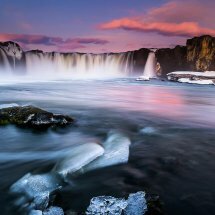 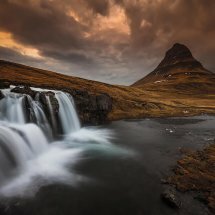 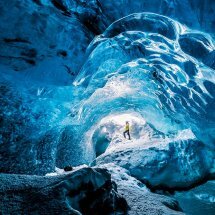 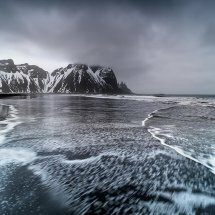 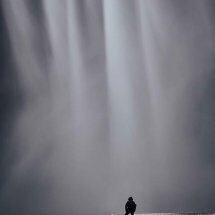 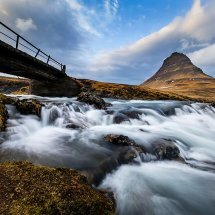 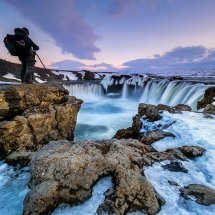 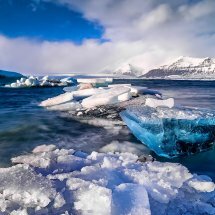 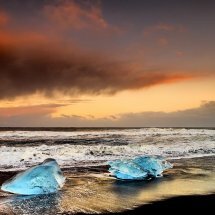 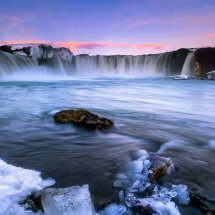 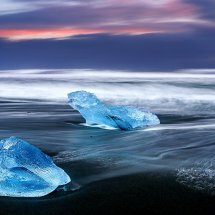 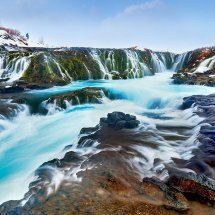 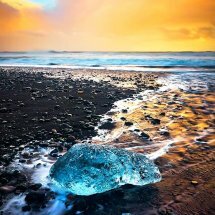 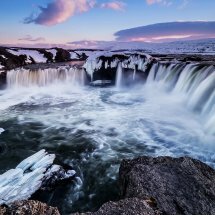 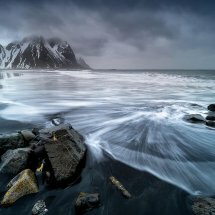 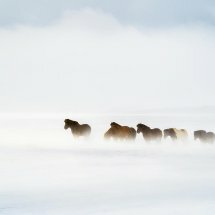 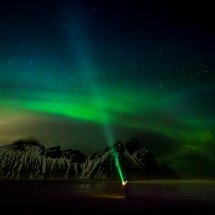 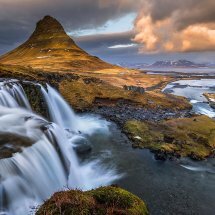 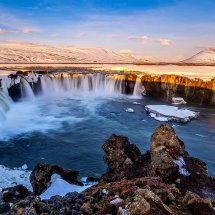 Stunning Iceland, a photographer's Paradise. 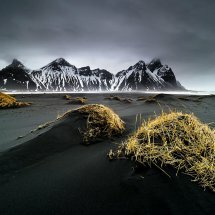 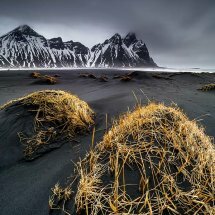 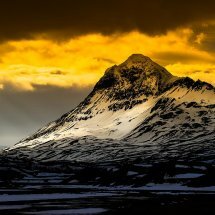 The mighty Vesturhorn mountain, an imposing backdrop to the spectacular black beach of Kirkjusandur. 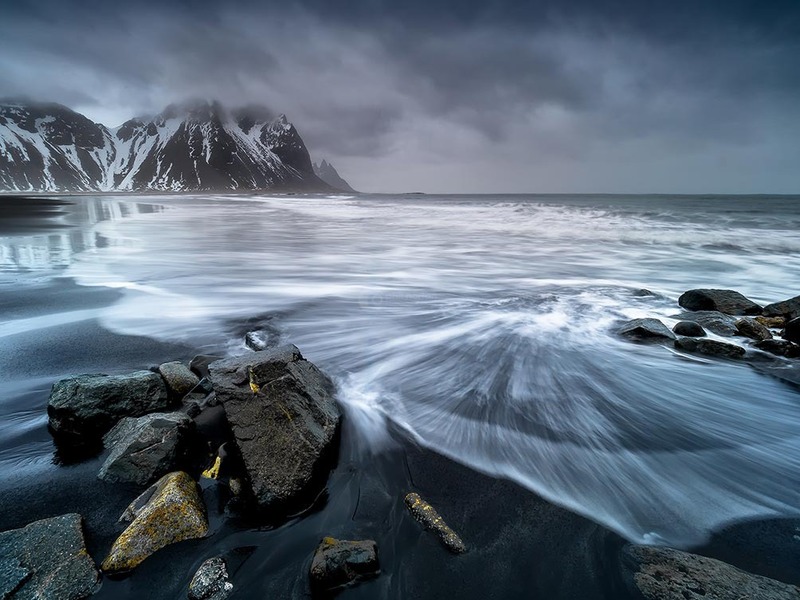 The sea rushes in over the black sands.